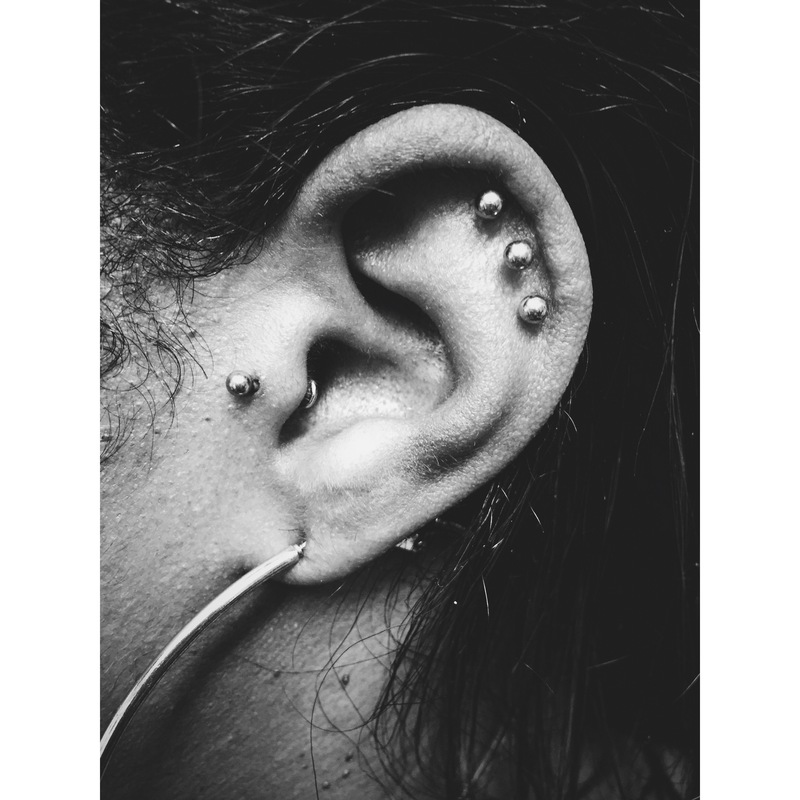 Nisha originally wanted five but settled on three top-ear/helix piercings. Due to the extended healing and initial swelling they have been pierced w/1.2mm x 10mm titanium labret bars as this trio was pierced at the same time. Other piercings not by me – really pleased with these and a fourth and fifth can always be added later. 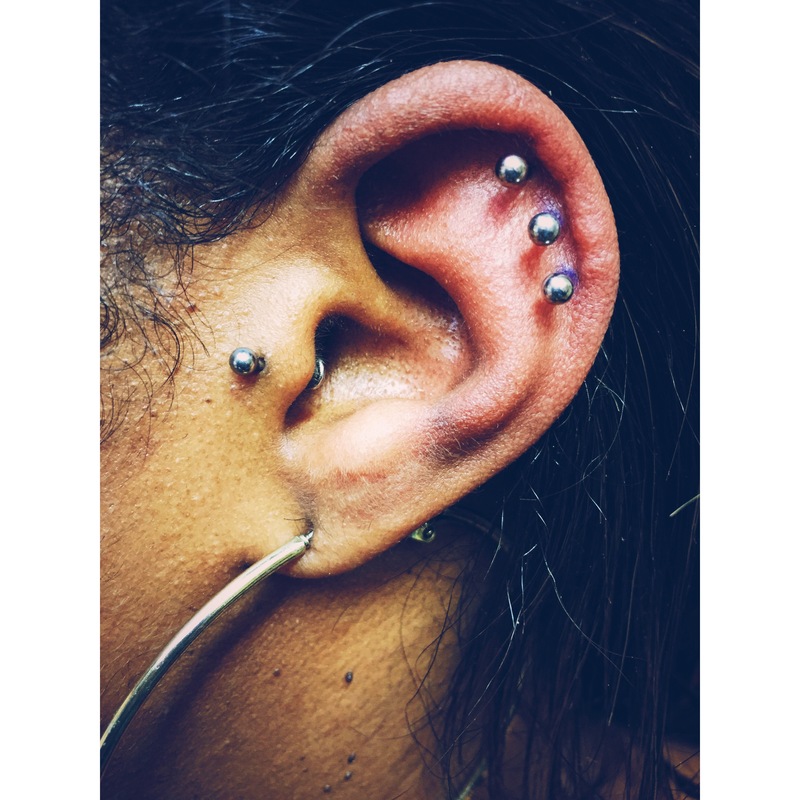 This entry was posted in Piercing Portfolio, Top Ear / Rim Cartilage Piercings and tagged Body Mods, Body Piercer, Body Piercing, El Capitan, Greenwich, Helix Piercings, London, Piercing Portfolio, SE10, Shiva Piercings, Top Ear / Rim Cartilage Piercings, Triple Ear Rim Cartilage Piercings, Triple Helix, Triple Helix Piercings, Triple Top Ear Piercings. Bookmark the permalink.